GO2 Lab Media utilizes our staff of knowledgeable specialists and a full range of technologies to tailor solutions to your specific needs. We offer a comprehensive suite of services throughout the information management and delivery lifecycle. Unlike other suppliers, GO2 Lab Media’s services begin prior to content creation. Once we fully understand your information strategy and budgetary constraints, we offer recommendations that streamline your workflow to improve effectiveness. Our intent is to function as if we were a member of your staff. In fact, many of our clients choose to focus on core competencies and outsource all print-related tasks to GO2 Lab Media. Whatever your model, we can help you reduce costs, improve quality and achieve quicker turn times. GO2 Lab Media offers many barcode training and consulting services. For more than 15 years, we have offered customized training sessions on topics like Standards for Barcodes, Compliance Labeling and ISBT 128 Compliance. Our experts are also available to troubleshoot ongoing problems with existing barcode systems and can offer purchasing assistance to help ensure businesses invest in barcode technology that will yield the best ROI. You can even send your barcodes to GO2 Lab Media for verification and grading. GO2 Lab Media can develop barcoded cryogenic labels and other customized labels in various barcode formats and label sizes. After reviewing a project plan or protocol, we offer suggestions to improve control over study tubes and forms. Patient-specific barcode systems can be created by using randomized numbers or by using pre-assigned numbers generated from our clients' information management system. GO2 Lab Media is also capable of producing aliquot-specific labels to be used for pharmacokinetic studies and other projects that require the generation of timed multiple splits. Based on specific customer requirements, GO2 Lab Media can either pre-apply the cryogenic labels to the tubes at time of kit assembly, or include them in the kit for the site coordinator to apply at time of specimen collection. Our Print and Distribution Management Services allow you to focus on your core laboratory operations. We supply the technical knowledge you need to coordinate all of the critical laboratory printing. Our team works closely with your staff to bring all of your printing purchases under a single management and distribution system. We offer a strategic approach that allows us to customize a solution that fits your laboratory's needs. Utilize our network of warehouses across the country to lower your freight expenditure. With our distribution network, your branches receive exactly what they ordered, when they need it. Using our Management Services allows you to focus on your core laboratory operations. We supply the technical knowledge you need to coordinate all of your critical laboratory printing. Holding Cost: The cost of not tying up money in inventory is more important in today's economy than ever before. GO2 Lab Media will manufacture your product and then ship it to you on a bill-as-delivered basis. There are no hidden fees or storage charges after an agreement has been made. 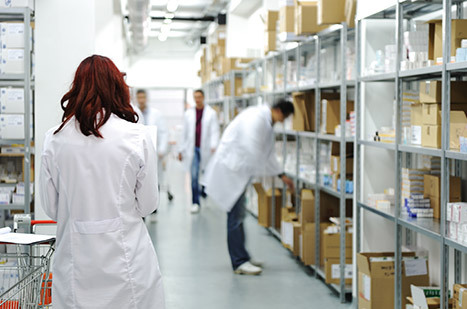 Inventory Control: GO2 Lab Media understands the challenges involved in maintaining sequentially numbered documents and labels. Inventory releases must be packaged properly and have the missing numbers noted on each carton. The Lab Audit Process is often our first step with a new client. It helps us to identify your unique Critical Customer Requirements (CCR). Once we understand your business, we will work with you to identify areas for improvement and provide greater control over your documentation and labeling process. As a Six Sigma company, we are trained to identify risk before a problem occurs. The ultimate goal of GO2 Lab Media is to deliver a product that meets your exact specifications. The laboratory audit process continues as our business relationship grows. We determine key areas to track, and then agree on a method of measuring the results. By collecting data over the lifecycle of your mission-critical documents, we create a tool that recognizes opportunities for sustainable improvements. 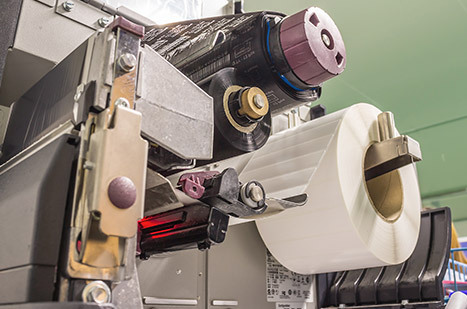 Our commitment to maintain a quality control culture often results in a defined document and labeling strategy, more efficient workflow and significant cost savings. 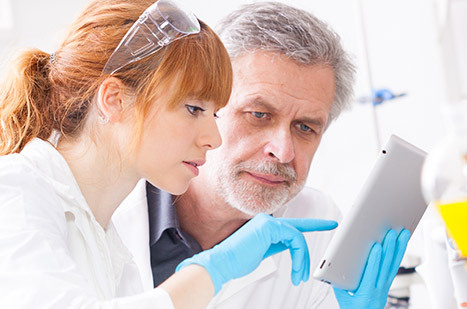 Accurate specimen identification and tracking is at the core of your laboratory operations. GO2 Lab Media works with you to eliminate the risk of numbering errors, while also providing the tools you need to respond quickly with accurate information. We incorporate technology and Six Sigma practices when administering sequential numbers to ensure there are never transposed or duplicated numbers. Our checks and balances process moves from order pre-flight, into systems that carry over to the manufacturing process. We track and verify the sequential numbers to confirm your order is accurate when it is delivered. Detailed packing lists and reports document the contents of each carton, making it easy for you to isolate client-specific concerns. GO2 Lab Media also manages the sequential numbers from order to order, as well as form to form, alerting you to any potential problems. 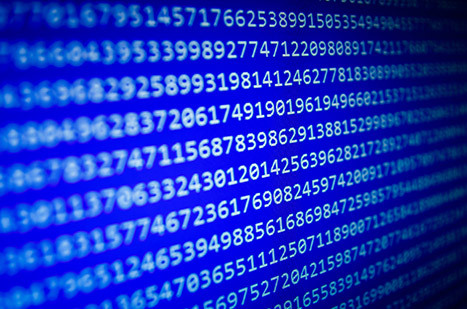 We recognize the importance of sequential numbers and possess the tools to maintain accurate numbering. Improve communication and easily manage all mission-critical documents in one location to save time and resources. Review, track and communicate changes using our online solution. Our Asset Management Tool was developed specifically to help labs streamline communications and to help document authors easily manage, track and communicate complex changes internally. The result? Greater efficiency and time savings for all those involved in the process. Track the history of a document, sharing the experience of past and present team members. 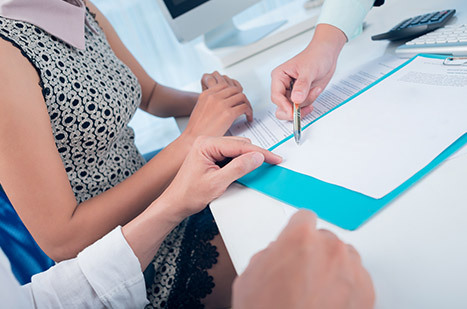 Our version tracking functionality assists in ensuring that all of your legal and consent information on your lab documents is within compliance. It offers accountability and reduces ambiguity over past versions and approvals. Immediate access to document history and production data provides you with the information you need to respond to your client's requests quickly and accurately. The following are the terms of a legal agreement between you and GO2 Print Solutions. By accessing, browsing and/or using this website, you acknowledge that you have read, understand, and agree to be bound by these terms and to comply with all applicable laws and regulations, including export and re-export control laws and regulations. If you do not agree to these terms, do not use this website. The material provided on this website is protected by law, including, but not limited to, United States Copyright Law and international treaties. Any claim relating to, and the use of, this website and the materials contained herein is governed by the laws of the state of Illinois. The copyright in all material provided on this website is held by GO2 Print Solutions or by the original creator of the material. Except as stated herein, none of the material may be copied, reproduced, distributed, republished, downloaded, displayed, posted or transmitted in any form or by any means, including, but not limited to, electronic, mechanical, photocopying, recording, or otherwise, without the prior written permission of GO2 Print Solutions or the copyright owner. Permission is granted to display, copy, distribute and download the materials on this website for the purpose of designing materials to be printed by GO2 Print Solutions, provided you do not modify the templates or materials and that you retain all copyright and other proprietary notices contained in the materials. This permission terminates automatically if you breach any of these terms or conditions. Upon termination, you must immediately destroy any downloaded and printed materials. You also may not, without GO2 Print Solutions permission, "mirror" any material contained on this website onto any other server. Any unauthorized use of any material contained on this website may violate copyright laws, trademark laws, the laws of privacy and publicity, and communications regulations and statutes. This website may contain other proprietary notices and copyright information, the terms of which must be observed and followed. Information on this website may contain technical inaccuracies or typographical errors. GO2 Print Solutions assumes no responsibility regarding the accuracy of the information that is provided by GO2 Print Solutions and the use of such information is at the recipient's own risk. GO2 Print Solutions provides no assurances that any reported problems may be resolved with the use of any information that GO2 Print Solutions provides. By furnishing information, GO2 Print Solutions does not grant any licenses to any copyrights, patents, trademarks, or any other intellectual property rights. UNDER NO CIRCUMSTANCES, INCLUDING, BUT NOT LIMITED TO, NEGLIGENCE, SHALL GO2 Print Solutions BE LIABLE FOR ANY DIRECT, INDIRECT, SPECIAL, INCIDENTAL OR CONSEQUENTIAL DAMAGES, INCLUDING, BUT NOT LIMITED TO, LOSS OF DATA OR PROFIT, ARISING OUT OF THE USE, OR THE INABILITY TO USE THE MATERIALS ON THIS WEBSITE, EVEN IF GO2 Print Solutions OR A GO2 Print Solutions AUTHORIZED REPRESENTATIVE HAS BEEN ADVISED OF THE POSSIBILITY OF SUCH DAMAGES. IF YOUR USE OF MATERIALS FROM THIS WEBSITE RESULTS IN THE NEED FOR SERVICING, REPAIR OR CORRECTION OF EQUIPMENT OR DATA, YOU ASSUME ANY COSTS THEREOF. SOME STATES DO NOT ALLOW THE EXCLUSION OR LIMITATION OF INCIDENTAL OR CONSEQUENTIAL DAMAGES, SO THE ABOVE LIMITATION OR EXCLUSION MAY NOT APPLY TO YOU. GO2 Print Solutions does not want to receive confidential or proprietary information from you through our website. Please note that any information or material sent to GO2 Print Solutions will be deemed NOT to be confidential. Any material, information or idea you transmit to or post on this Site by any means will be treated as non-confidential and non-proprietary, and may be disseminated or used by GO2 Print Solutions or its affiliates for any purpose whatsoever, including, but not limited to, developing, manufacturing and marketing products. However, we will not release your name nor otherwise publicize the fact that you submitted materials or other information to us unless: (a) we obtain your permission to use your name; or (b) we first notify you that the materials or other information you submit to a particular part of this site will be published or otherwise used with your name on it; (c) we are requested to supply the information by your employer or the organization sponsoring your access to this website, or (d) we are required to do so by law. Notwithstanding the foregoing, all personal data provided to GO2 Print Solutions will be handled in accordance with GO2 Print Solutions Online Privacy Practices. You are prohibited from posting or transmitting to or from this Site any unlawful, threatening, libelous, defamatory, obscene, scandalous, inflammatory, pornographic, or profane material, or any other material that could give rise to any civil or criminal liability under the law. We respect your privacy. When you browse the GO2 Print Solutions website, you are able to do so anonymously. We do not collect personal information when you browse. Your browser, however, does automatically tell us the type of computer and operating system you are using. We only use this information to improve the design and ease of use of our web site. This information is in no way linked back to you personally. We only collect personal information about you when you sign up for our newsletter. This information is not sold to anyone. If you have any questions concerning our collection and/or use of your personal information, please feel free to contact us. Last updated April 17, 2014.